This month in the Book Club Play Date series, we're exploring a new (to us) book, Bear Sees Colors. We made a creative and healthy snack based on the book and all of it's colors. Preschool kids (and older kids!) 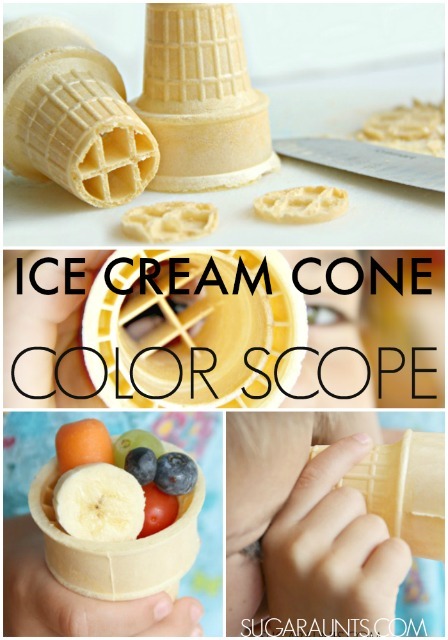 will love to seek and hunt for colors with these ice cream cone color scopes, then use the cones as an edible snack container. 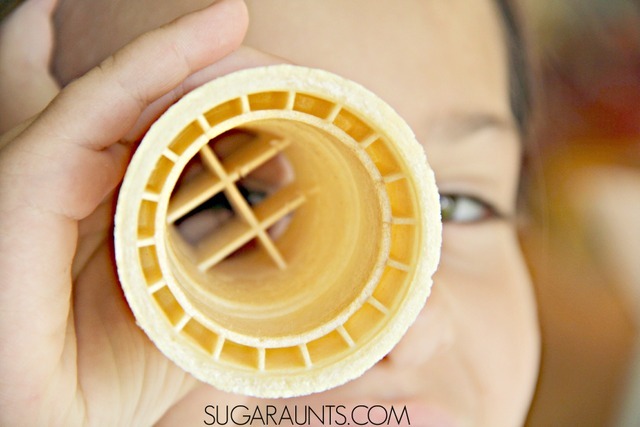 This is such a great activity for a preschool playdate. 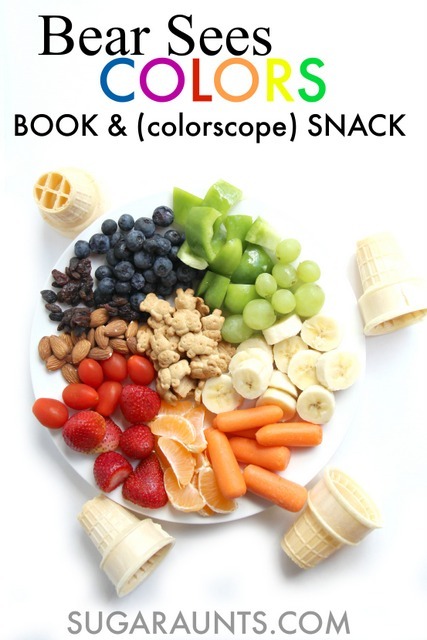 Simply set out a plate of healthy snacks and the color scopes while the book is being read. 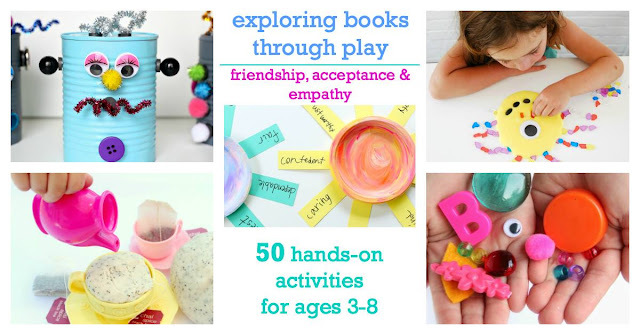 You can see the whole Book Club Play Dates series and tips for an awesome play date outlined at Still Playing School here. 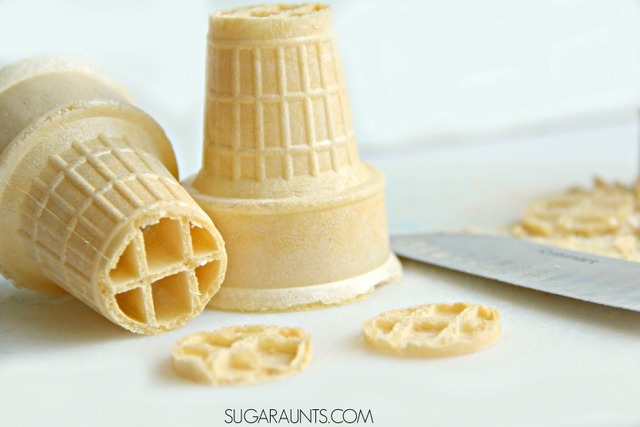 Use an Ice Cream Cone for a Snack Container! cake ice cream cones as a snack container. We shared the idea with our Instagram followers recently. 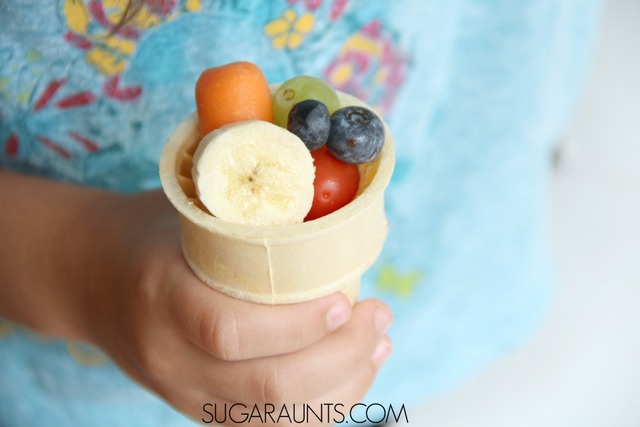 Simply fill up a cake ice cream cone with healthy treats: fruits, nuts, and veggies for a different snack that will get the kids to smile. We used the same idea for our Color Scopes based on the book, Bear Sees Colors and made the cake cones into color telescopes. In the book, Bear goes hunting with a few friends and sees all sorts of wonderful colors in the world around him. 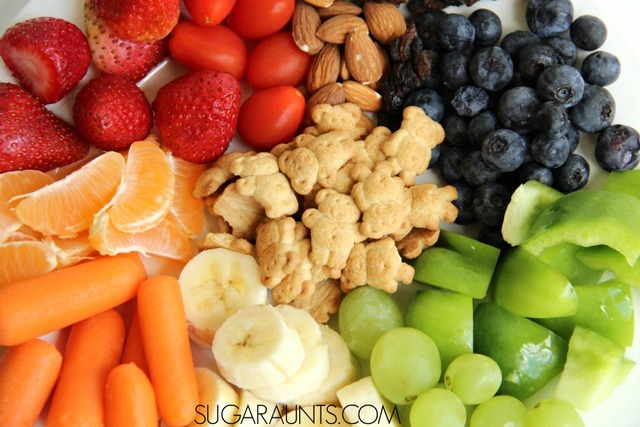 Bear Sees Colors doesn't hit all of the colors of the rainbow, but we decided to make our snack include a bunch of tasty berries, nuts, vegetables, and of course, Teddy Graham Crackers . The nice thing about this snack idea, is that you can use whatever you've got in your pantry and fridge. Pull out a plate and load it up with anything colorful. We read through the book again as we ate our snack, and when Bear saw a color, I had the kids look through their color scopes to seek and find the color on the plate. I had them hunt for more colors, too. I called out a color and they had to search for it using their color scope. They got a big kick out of this activity! We then filled up our cones with healthy treats and had a colorful snack! 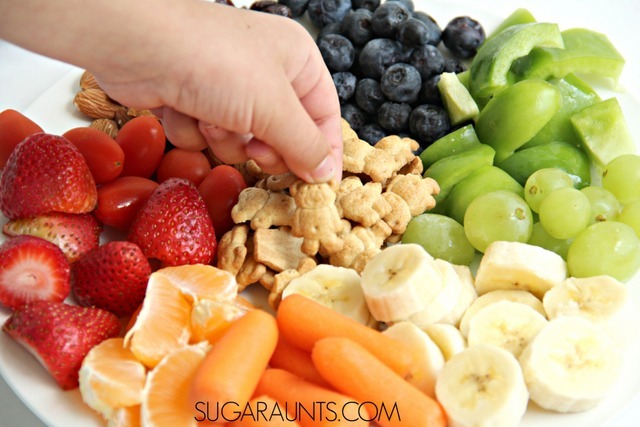 This snack idea was fun for all of my kids, but would be great for preschool kids, especially as they identify colors. 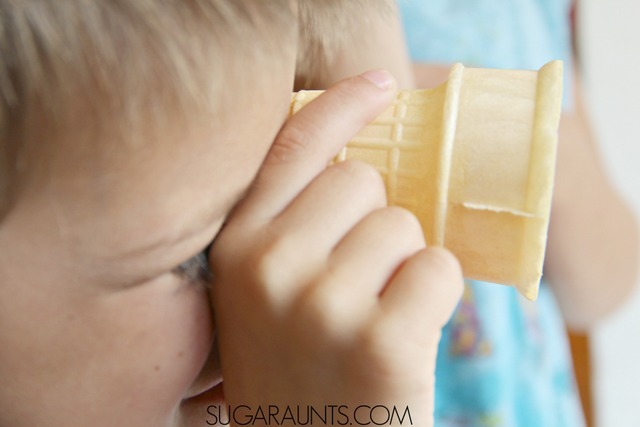 How can you think of using our ice cream scopes? Join us over on Facebook for creative ideas for kids, parents, and AUNTS! If you make a cone snack, be sure to share a picture with us there. We would love to see it!